Most Valuable Dimes: A List Of Silver Dimes & Other Old Dimes You Should Hold Onto! I love looking through my pocket change for old dimes — especially silver dimes. Believe it or not, my dad found a couple silver dimes years ago while buying snacks out of a vending machine, and I’ve found old dimes, too. 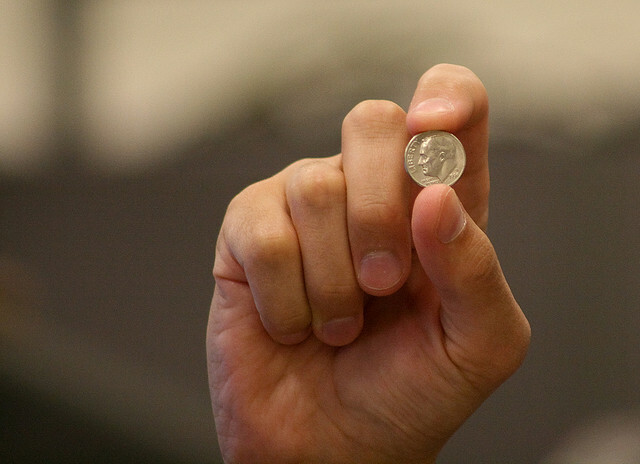 Many old dimes are worth more than 10 cents, and some are worth many times over face value. But how do you know what old dimes are valuable and which ones you can spend? 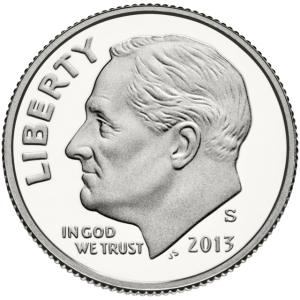 I’ve compiled a list of the top dimes that you should look for in your pocket change, coin jars, and coin rolls. I’ve also included a list of their approximate values, too. OK, Barber dimes are really hard to find in circulation — let me just tell you that right now. But believe it or not, some people have managed to find very worn examples of these late 19th- and early 20th-century coins in bank rolls and spare change. 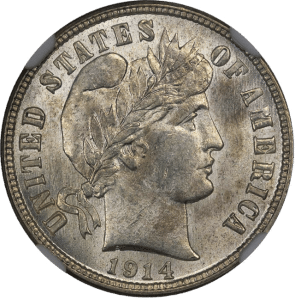 While many Barber dimes aren’t really rare from the coin collecting standpoint, they are virtually elusive in circulation these days, so finding one is a real triumph for anybody, even if the Barber dime that turns up is a barely recognizable common-date. So what are old Barber silver dimes worth? Well, the ones that you have the greatest likelihood of finding aren’t worth a whole lot. Most well-worn, common-date Barber dimes have a value of $3 to $5, and in some cases a bit less if they have been cleaned or have other types of damage. Again though, you’ll have quite a story to tell if you actually find a Barber dime, struck from 1892 through 1916, in circulation these days, and that’s an experience worth much more than $5. Like Barber dimes, old Mercury silver dimes are also very difficult to find in circulation these days. They’re relatively more easily found in dime rolls, which is also true when you’re looking for other types of old dimes. Mercury dimes were made during the years 1916 through 1945. 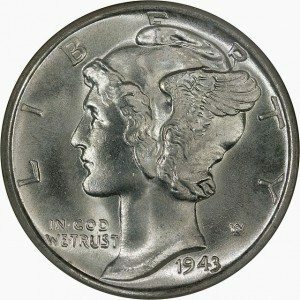 Of those years, you’re most likely to find old silver dimes dating from 1934 through 1945. Overall, these dates are considered to be quite common in the numismatic sense. In fact, well-worn examples of Mercury dimes struck from the mid 1930s through mid 1940s are worth around $2 to $4. However, when you realize that only a very small number of people have actually found Mercury dimes in circulation since the 1970s, the novelty of snatching one of these beauties from pocket change or a dime roll is really quite spectacular. 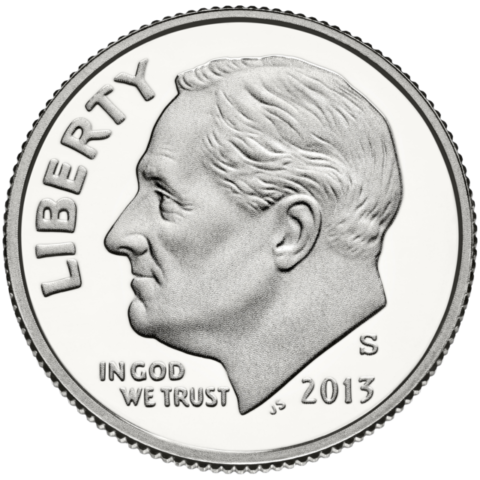 The Roosevelt dime first appeared in circulation in 1946 — just 1 year after President Franklin Delano Roosevelt died. Naturally, the Roosevelt dime was seen as a wonderful tribute to the man who had led the nation through not just the Great Depression but World War II, as well. Millions of Roosevelt dimes were saved, and within a decade, several issues would become known as relatively scarce in the eyes of coin collectors. Pre-1965 Roosevelt dimes are especially valuable because they contain silver. Next up: Most Valuable Quarters – A List Of Silver Quarters & Other Rare Quarters You Should Hold Onto!